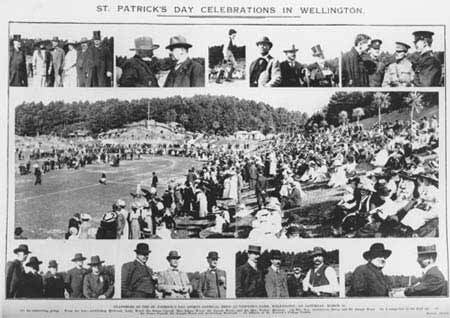 These snapshots are from the St Patrick's Day sports festival at Newtown Park, Wellington, in 1912. Among the people featured are the prominent Irish Catholic dignitaries Archbishop Francis Redwood, Sir Joseph Ward and Sir James Carroll, the Māori minister of native affairs. Carroll's father was an Irishman born in Sydney.